This Science Show radio transcript contains an interview with Dr. Philippa Uwins of the University of Queensland. 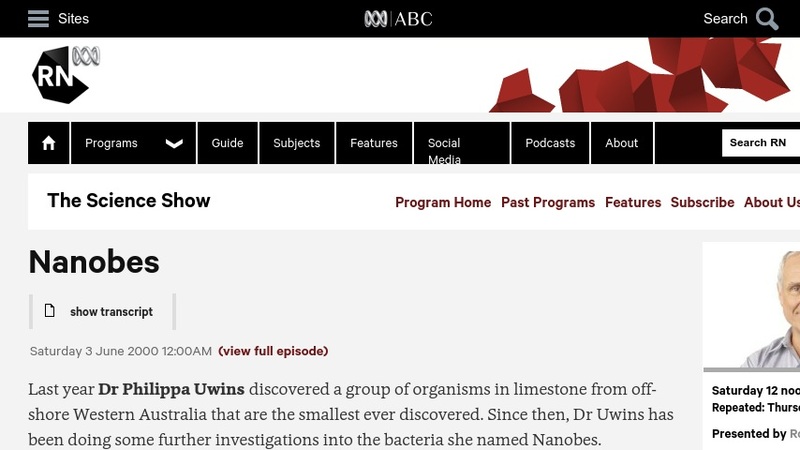 Dr. Uwins discovered a group of organisms in limestone from off-shore Western Australia that are the smallest ever discovered. Since then, Dr. Uwins has been doing some further investigations into the bacteria known as nanobes.